Fast 24 Hour Service Available! Are You Paying Too Much for Municipal Water? We'll drill a well and install everything you need to use it. We'll install a top-quality pressure tank so that you get the most life out of your water well. We'll make sure that your water is completely clean, healthy and crisp. Mike Moore Well & Pump Services provides comprehensive water well drilling services for residential, commercial and agricultural clients in Laurens, Anderson, Honea Path and throughout Upstate South Carolina. We stand by the services we provide and the products we install. All of our products carry a two- to three-year warranty. We honor all of our warranties, and we make it a point to only ever treat our customers with honesty and respect. If you need a well pump system installed on your property, reach out to us right away. Whether you need water well drilling, a well pressure tank or another part of the well pump system installed, we've got you covered. 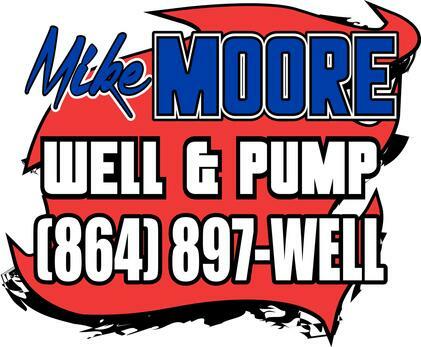 Mike Moore Well & Pump Services is a reliable company serving residential, commercial and agricultural clients in upstate South Carolina, including Honea Path & Anderson. We're family owned and operated. All of our mechanics are experts. We're a Pentair and Pentek Pro dealer. We use American made products from Grundfos, Meyers, FNW and Franklin Electric. We provide 24/7 well pump system emergency services. Do You Want Your Own Source of Water? Copyright © 2019 Mike Moore Well & Pump Services, all rights reserved.